Graduation makes being a parent worth it. For many parents, witnessing their childrenâs graduation and probably their beginning of professional career are a jumble of emotion. 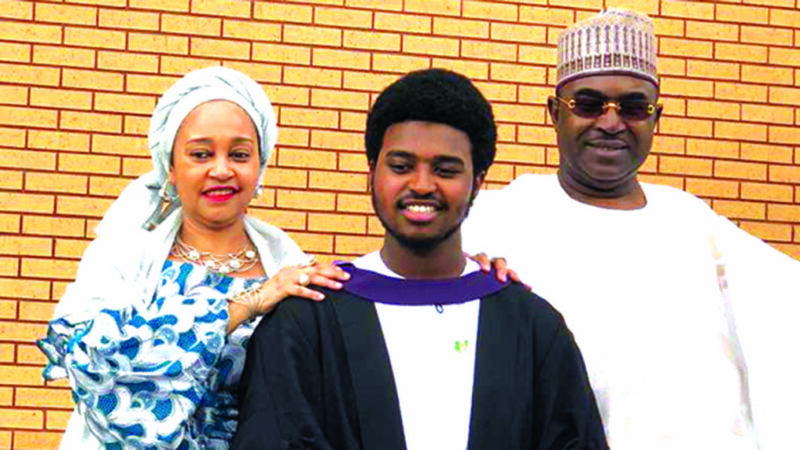 This was exactly how cordial and pleasant retired military top brass, General Buba Marwa and his wife, Munirat felt on Thursday, July 19 when their youngest son, Imran graduated. On that day, handsome Imran bagged a First Class in Electronics and Electrical Engineering at Loughborough University in the United Kingdom. The influential General and his wife, Munirat stormed the Charnwood Borough of Leicestershire, where the University is loca ted in high spirits to attend the graduation ceremony with the proud ecstasy of proud parents who hugged their son for his star performance. And they have every reason to feel animated: Imran earned a First Class from such prestigious University ranked fourth in the 2019 Guardian University Rankings List.